Just moved to Pittsburgh? Or perhaps you've lived here your entire life and find yourself saying things like, "Pittsburgh's air is totally clean now ... it's nothing like it used to be." True, the air in the Steel City is not as unhealthy as it once was, but it's not great. Find out more below. While the quality of Pittsburgh’s air has drastically improved since steel industry’s heyday, the city and its surrounding areas still get a big fat F from the American Lung Association (ALA). 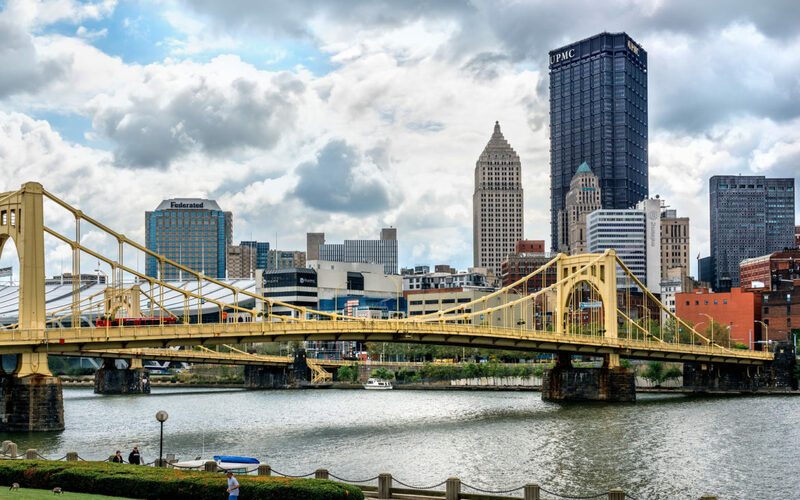 The association ranks the Pittsburgh area as the 14th most-polluted area in the country for daily fine particulate matter and the eighth most-polluted for annual particle pollution. Pittsburgh and Allegheny County are out of compliance for federal pollution standards largely because of industrial facilities in the Monongahela River Valley. The Allegheny County Health Department has air pollution monitors spread throughout the county. The monitors that are in violation, which throw the entire county out of attainment, are located around industrial sources in the Mon Valley, said Albert Presto, an assistant research professor with Carnegie Mellon University’s Center for Atmospheric Particle Studies. Presto said Pittsburgh’s city center is less polluted and levels are similar to other U.S. cities. Allegheny County currently does not meet the federal standards for fine particulate matter (PM 2.5), sulfur dioxide (SO2) and ozone (smog). Each can cause breathing problems, especially for children, the elderly and people with asthma. During winter, when air is warmer in the atmosphere than at the surface, residents should be aware of temperature inversions. Why? An inversion happens when the warmer air acts like a lid above the cooler air underneath, preventing pollutants from rising and dispersing, trapping them at breathing level. Inversions are strongest in the winter months when pollution from vehicle exhaust, industrial sites and wood burning can fester near the ground, leading to poor air quality. Fine particulate matter commonly comes from industrial sites, car exhaust and chemical reactions in the atmosphere. The particles can lodge in the lungs and bloodstream, causing respiratory complications. Even though Pittsburgh wasn’t in compliance, the city improved its particle pollution levels this year and posted its fewest unhealthy days since the ALA started reporting in 2000. This gas emits from fossil fuel combustion at power plants and industrial facilities. It can be damaging to the environment and to public health. Sulfur dioxide can make the harmful effects of breathing in ozone even worse. Smog forms when sunlight meets with a mix of volatile organic compounds (VOCs) and nitrogen oxide, which are emitted from vehicle exhaust, power plants and other industrial sites. More than half of the U.S. population lives in areas where levels of ozone are considered to be unhealthy, according to the ALA. Not only are the elderly and people with pre-existing health problems susceptible to smog, but it can also affect teens and people who work or exercise outdoors. Who's most affected by poor air quality? In Allegheny County, the poor air quality poses a threat to the 25,367 children and 98,074 adults who suffer from asthma, according to the ALA. Another 67,737 people who suffer from chronic obstructive pulmonary disease (COPD) in the county are also at risk. The pollutants can cause these sensitive populations to experience shortness of breath, chest pain and asthma attacks, and it can shorten their lives by months or even years. A recent study of 267 Pittsburgh-area schoolchildren found more than 40 percent of the participating fifth graders already have or are at risk for developing asthma. 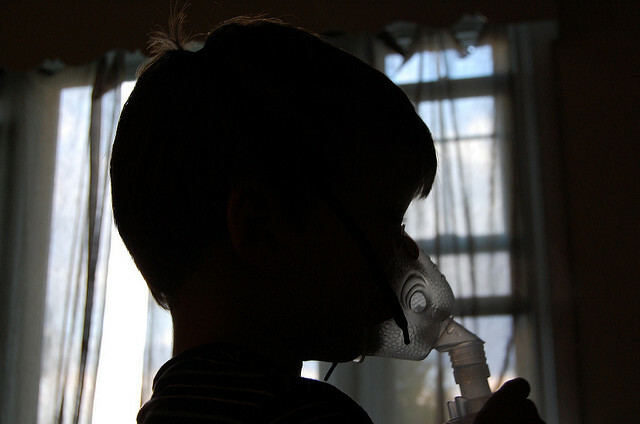 “I’m surprised we found as much uncontrolled asthma as we did,” the study’s lead author Dr. Deborah Gentile told the Pittsburgh Post-Gazette in May. “We have to reduce their triggers and get their asthma under control,” added Gentile, a physician and director of allergy and asthma clinical research at the Allegheny Health Network. The Allergy and Asthma Foundation of America ranked Pittsburgh as the 27th-most challenging to live in if you have asthma, based on triggers including poor outdoor pollution, tobacco smoke exposure and a high poverty rate. What's being done and what can you do? The recent Allegheny Health Network asthma study on schoolchildren has led to district-wide screening for asthma in the Woodland Hills, Clairton and Northgate school districts. The authors of the study hope they can expand screenings throughout the region and statewide. Future studies will focus on identifying asthma triggers as well as treatment and prevention for children, according to a press release on the study. Environmental groups like the Group Against Smog and Pollution (GASP) also conduct studies and lobby public officials to address issues around poor air quality. The group provides a list of elected officials for people who wish to contact lawmakers about air pollution issues. If you or your child has asthma or you think air pollution may be affecting your health in any way, you should contact your doctor. You can also check this Air Quality Index website to see if there are air quality alerts in your area. Consider staying indoors as much as possible on bad air days. There are also air monitoring devices available to help you identify and reduce poor air quality in your home. The Speck sensor (around $200), created by Carnegie Mellon robotics researchers, measures fine particulate matter (PM 2.5) and is available to rent at Carnegie Libraries in Pittsburgh. The ALA also encourages concerned citizens to conserve electricity, drive less, not to burn wood or trash, and to ask about the condition of your local school buses and if there is a policy on buses idling. Photo of child via flickr. Reach Natasha Khan at natasha@publicsource.org. Follow her on Twitter @khantasha. Reach J. Dale Shoemaker at dale@publicsource.org. Follow him on Twitter @JDale_Shoemaker. With the launch of Develop PGH, PublicSource is committed to covering the ins and outs of urban development and the importance of design and planning for the health of the city and region. We'll bring you original reporting each week and want you in the conversation of how the city is changing and what you think others need to know. In Pittsburgh, we hear a lot of talk about making Pittsburgh a city for all. And, residents are responding to the city’s changing identity and demographics in many ways — some with love and some with hate. For an intimate look at how allyship is defined and perceived in our region, we spoke with four Pittsburghers who are thinking about allyship as it pertains to personal and professional relationships. Kudos to American Lung Association for noting that people should not be burning wood or trash. Elected officials risk political crucifixion these days for attempting to regulate wood burning at the local level. When will Pittsburgh and Allegheny County catch up?